The face price of “Pooja Bumper -2015 will be Rs.100/- only. 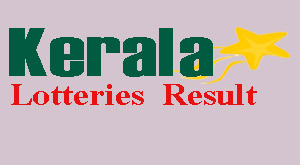 The sale of this Kerala lottery will be started on 18.09.2015 and the draw will be conducted on 17.11.2015. A total number of 40 Lakh tickets will be printed in 5 series step by step according to the progress of the sale by time to time. The first prize will be Rs.3 Crore to 1 ticket common to all series. The second prize will be Rs. 50 Lakh to 1 ticket common to all 5 series. The third prize will be Rs.5 Lakh to 1 ticket in every series. POOJA BUMPER BR 46 Lottery Result of Kerala state lotteries weekly draw held on 17-11-2015 (17th November 2015, Tuesday ) are declared. The Pooja Bumper lottery results with all details like Lottery winner numbers, first prize, second prize, third prize etc are listed below here. Those who are taken the Kerala Government Lottery, Pooja Bumper BR 46 Lottery can check their result of Pooja Bumper lottery result today.